Going to start off this review by saying that Nepal Black is really pretty. The dry leaves are huge (for the most part) with just the slightest twist in each leaf. They’re dark with some golden tips for some of the leaves, pretty indeed! 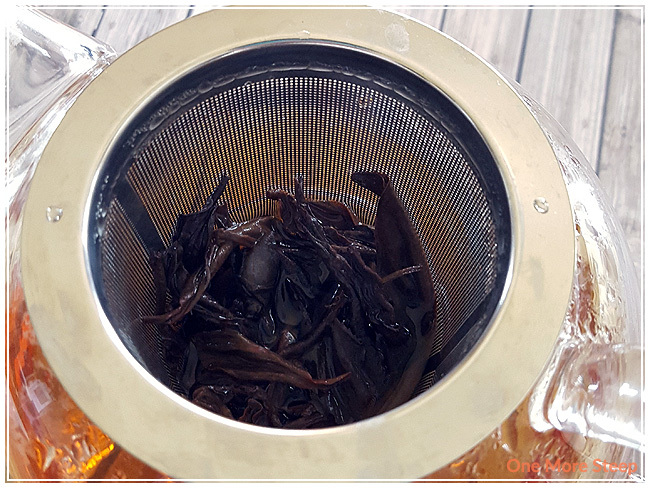 The dry tea has a bit of plum in the scent, I find, along with some woody notes, and honey – it reminds me a lot of an Assam because there’s some malty notes in the fragrance of the dry tea. Even a small amount of this tea takes up a lot of volume in the bags – which helps to prevent leaves from being crushed and broken. The ingredients for Nepal Black are simple: black tea from Nepal. Easy to remember, given the name of the tea. DavidsTea recommends steeping in 96C water for 4-7 minutes. I steeped for about 4 minutes. Nepal Black steeps to a beautiful golden orange colour, and it smells just as the dry leaf did: a little bit of honey, some plum, and then rounding it out with some smokiness and woody notes. 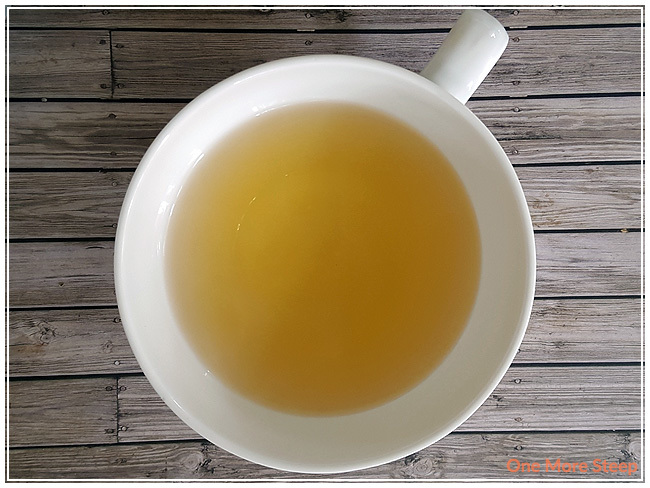 The little bit of honeyed taste to the tea makes it just a touch sweet and it does really well without the addition of sweetener (of course, you are welcome to add some to personal taste – I just find it sweet enough). 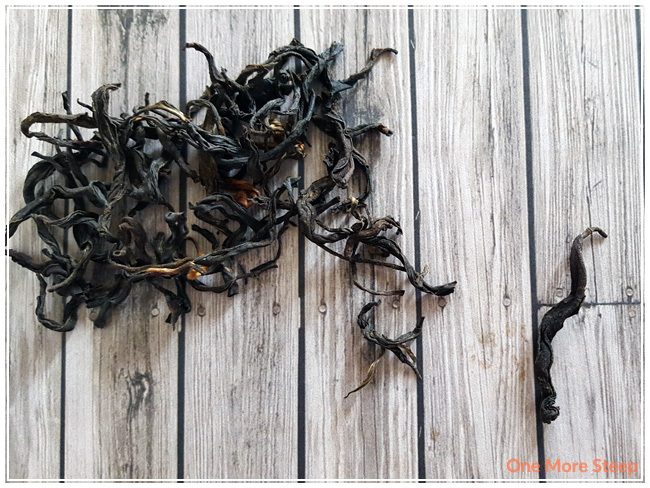 It’s a very pleasant tea, I know a lot of the time when black teas are steeped in too hot of water or for too long, it ends up being very bitter – this is not the case for Nepal Black. Granted, I only steeped for four minutes, which is on the low end of the time range they offered. I resteeped Nepal Black twice. The first resteep resulted in a very similar pot of tea as the first in terms of strength of the aroma and flavour. The second resteep was lacking the natural honeyed taste and the other mix of flavours were starting to wane. I would say that Nepal Black is good for one more steep only, although the second resteep is still an okay cup of tea. 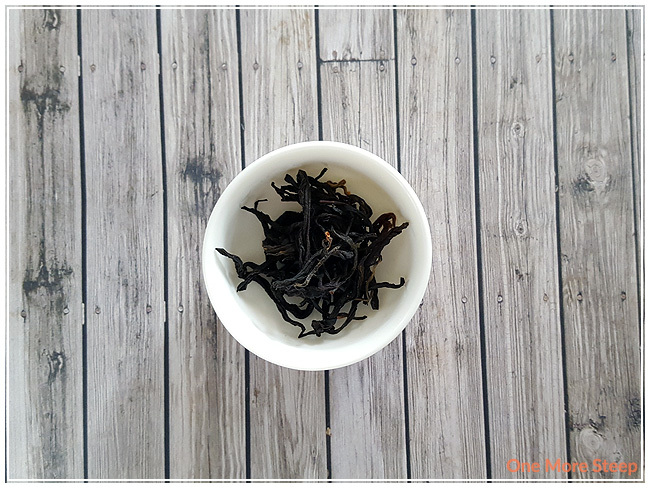 I loved DavidsTea’s Nepal Black. One of the things that I really enjoyed about Nepal Black is the complexity of the tea in terms of the flavours that I can pick out from a straight tea. It’s enjoyable, it resteeps at least once well. There’s a great mixture of flavours that mingle well together on the tongue, and it is an overall just good cup of tea. 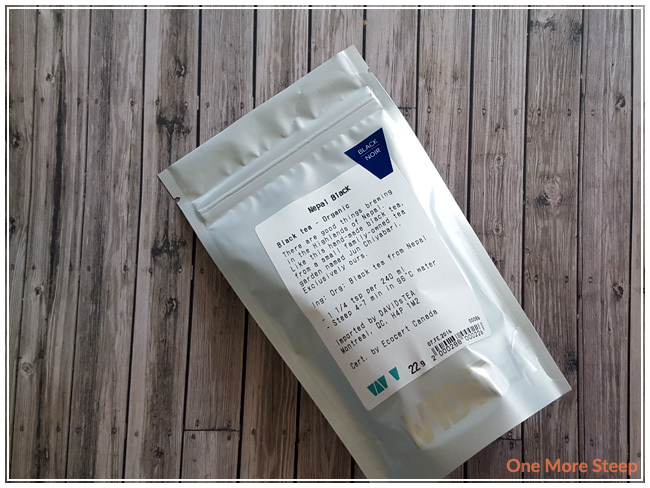 I would recommend trying it if you’re looking for a black tea to add to your tea cupboard, I certainly like it and will definitely steep this one again.